The next installment for the Deus Ex series has been announced for 2016 called Deus Ex: Mankind Divided (fourth installment). I am a huge fan of this series and it exists on the premises of what if every political conspiracy was true and puts that into a future universe. This is a prequel to the original Deus Ex (a top ten game of all time) but is a sequel to Human Revolution and the story is largely focused augmentation. The release date has been pushed back a couple times now but at last check, it was set for August 2016. This game is definitely in the top five most anticipated games of 2016 for me. For the tens of y’all who haven’t played Deus Ex 3 (Deus Ex: Human Revolution), there is a ‘Director’s Cut’ version of the game on all platforms! This version boasts the usual bells and whistles for these types of re-releases – better graphics, better A.I., better everything, including boss battles. Oh, and all the DLC. My take? If you haven’t played the game yet, then pick up the Director’s Cut instead of the first release of Human Revolution. It is completely worth it. If you already own it, maybe get it on sale if you already enjoy the series. I enjoyed the Director’s Cut version much better than playing the original Deus Ex 3. Honestly, even better boss battles probably won’t change your impression of the game but if you like the game, the re-release made the old boss battles much better. There is also an iOS prequel to Human Revolution called Deus Ex: The Fall. The controls are pretty wonky. I enjoyed it intellectually but I do not consider it an overall good game. I am a fan of the Deus Ex series for sure and the iOS did not change that. The developers did not choose the right medium for the concept. 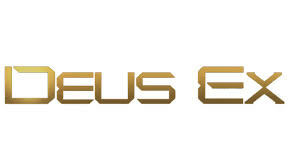 The iOS ties into a book called Deus Ex: Icarus Effect. Both explain the boss battles in Human Revolution. The book is excellent. The iOS game, not so much, but the two work well together to tell one narrative that provides a lot of background information for the boss battles in Deus Ex. The fact that all of these different pieces have never been tied together is one of oddest things about the Human Revolution Universe. They attempted to set up a multi-media story between the main game, the iOS prequel, the novel, the mockumentry ad campaign, and the short stories and yet, they never really tied it all together. All the pieces are there and there is a lot of interesting tidbits, but the loose ends leave inexplicable holes in each of the pieces where the connective material should have been viagra holland kaufen. In the main game it was much easier to gloss over all the missing aspects of the narrative but that is one of the main reasons that the boss battles (the Tyrants) seem out of place. In the iOS game and the novel it is much more noticeable because it is about side characters (the Tyrants) that we did not care about in the main game. Hopefully, in Mankind Divided, Eidos learns their lesson and spends more time tying in the game, the new novel (Deus Ex: Black Light), and whatever side game they choose to release. There is something here and all they need to do is stick the landing.